Are you in need of Tomball bat removal services? If you live in the Tomball Texas area and you’ve been hearing curious squeaking or scratching sounds at night, there’s a good chance that bats have moved into your Tomball home or business. The Critter Team is a leading residential and commercial animal removal company that specializes in Tomball bat removal, Tomball bat control, and Tomball bat exclusion. Bats are an integral part of nature, but you don’t want them to form a colony in your home or business. There are serious health concerns associated with bat infestations. Whether there’s a bat buzzing your bed at night or you suspect that a colony of bats is living in your attic, call The Critter Team today in Tomball TX at (281) 667-0171 to receive a consultation and estimate. The Critter Team has the knowledge and experience to locate and remove all bat species from any location. Many wild animal species, including several bat species, are protected under state and federal law. The Critter Team employs safe and humane methods to remediate bat infestations. One of our wild animal control specialists will conduct an inspection to learn how the bats are entering the building. 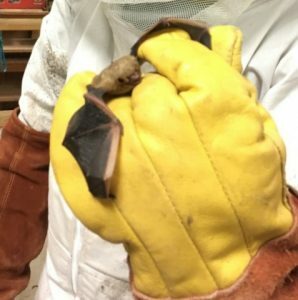 Once the bats are humanely excluded and prevented from returning, we can also provide bat clean-up, guano removal, and insulation replacement services. Sometimes bats make their presence known by flying through a Tomball home, business or industrial facility after dusk, but bat infestations aren’t always so obvious. The Critter Team knows where to look and what to look for. Bats are kind of like people. They’re creatures of habit. They like to return to a convenient roosting location night after night. Bat droppings tend to accumulate along walkways, window sills and in attics. As mentioned previously, scratching sounds and squeaking noises emanating from a wall, ceiling or chimney are indications that bats have taken up residence in your home or building. Bats are nocturnal creatures, so a bat colony can definitely prevent you from getting a good night of sleep. Don’t worry. Bats can’t hide from The Critter Team. Bats are great for the environment. Believe it or not, they eat their weight in mosquitoes and other insects every night. That means that bat feces, also known as guano, can really pile up fast. Mold producing guano often contaminates insulation and other building materials. Mold spores are known to cause lung infections and other respiratory diseases. Bat urine and guano often lead to stains and disagreeable odors on siding, window sills, and walkways. Finally, bats have been known to carry rabies. Removing bat guano and bats should be left to a Tomball bat removal professional. Once a colony of bats has located a suitable roosting site, it’s hard to convince them to leave. It’s even more difficult to figure out how they gained entry in the first place. Bat repellant is ineffective, and it won’t permanently solve the problem. 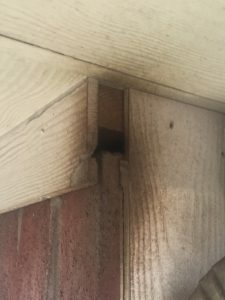 Once the damage to your Tomball home or commercial establishment is repaired, and every health hazard has been removed, Tomball bat removal and exclusion is the only way to permanently solve a bat infestation problem. The Critter Team can recommend a comprehensive plan to prevent the reentry of bats and other pests and wild animals. Some of the most common entry points in Tomball TX are listed below. The Critter Team is a full-service wild animal control company. We offer expert residential, commercial and industrial wildlife removal and restoration services in the Tomball area. We remove bat infestations of any size or severity. Our Tomball bat removal professionals are trained to humanely remove pests and repair any related damage. The Critter Team has the professional knowledge and experience to safely perform bat removal, bat control, bat exclusion, dead bat removal, bat cleanup, bat guano removal, contaminated insulation removal, and other related services. We serve towns and cities throughout the greater Tomball area. The Critter Team Tomball bat removal professionals can repair and restore homes and businesses that have been damaged by bat infestations. They can also prevent the reentry of all bat species. It’s important that bat removal, bat cleanup, bat control, and contaminated insulation removal services be performed by a licensed and insured wildlife removal company with an official wildlife removal permit. The Critter Team understands bat behavior. They know how to resolve bat infestation problems in Tomball TX. Call The Critter Team at (281) 667-0171 to schedule a bat solution appointment. You don’t have to live or work with bats anymore. The Critter Team is a veteran owned business located in Tomball Texas that offers consultations, affordable prices, and unrivaled customer service. We offer services in nuisance critters removal in Atascocita, TX. Bats are the only mammals that can really fly. They usually feed on fruits and insects. Areas on the house that usually have these are places that are dark. Attics or basements that are usually unnoticed are what these nuisance critters look for when looking for a place to stay. Bats usually supply people with some benefits but come with a cost that is a threat sometimes. Bat droppings have been excavated as guano from caves to be used as fertilizer. Bats consume insects, which eventually will reduce people from using pesticides anymore. Which also reduces the risk of being influenced by these chemicals that are both harmful to humans and animals. Some places in the world consider these animals as delicacies especially in the continent of Asia. When bats are located in an area where they are abundant they sometimes attract tourists to this location. They carry different diseases, such as rabies and they can easily spread disease. Some cultures consider bats highly and even worshipped as some kind of god or savior. Once the critters are gone, prevention should be applied. Our company can fix and rebuild what these nuisance vermins have caused. Blocking the entry points that they used is one of the processes that we do. The area where they stayed will be sanitized. Once this is done, the restoration of the place will begin. When all of these have been implemented, the next step is to survey the place. Looking for possible and other entry points to definitely stop these nuisance critters from entering again to determine where to block and patch these entries. If you happen to be near me, give us a call and we will set a schedule. We are one of the top companies that provide the best Tomball animal removal. 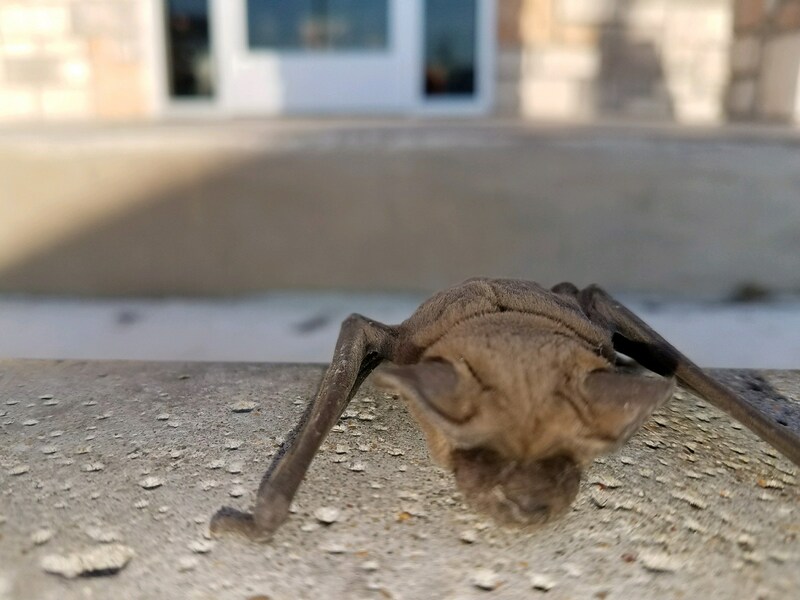 Dealing with bat removal is definitely a task that our team of wildlife removal in Tomball does. Any activity that involves pest control, we do it with the most humane solutions. Bat control and bat exclusion will be dealt with by our professional experts that have vast experience in the bat control and bat exclusion process. Tomball wildlife removal and Tomball animal control are always in check with the laws of the state that prevents from ever harming the animal or wildlife involved.